We search the globe, literally, to find the few remaining Denon DP Series turntables with flawless motors and platters. The Denon DP 7000 was rare to start with, and is now a treasured find whenever one surfaces. This is one of only three we have been able to rebuild with our unique hardwood plinths and state-of-the-art electronics and tone arms. 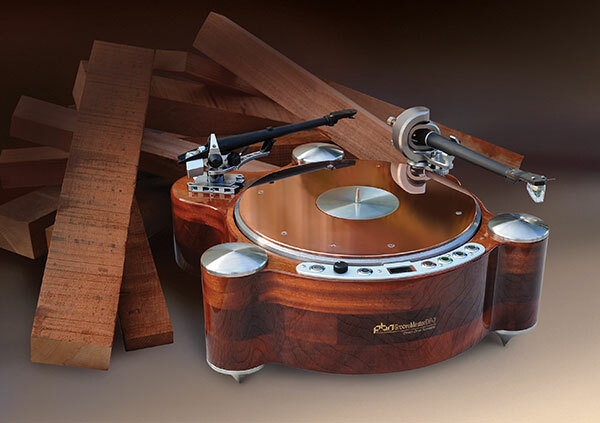 The tone arm shown to the right on this turntable is, we are honored to share, a uniquely designed and painstakingly built marvel…and the most expensive tone arm every sold (inquire about price if you must!). 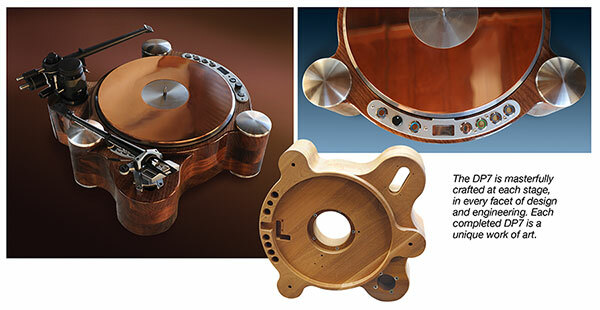 It is now an integral part of this DP7 MasterClass turntable.